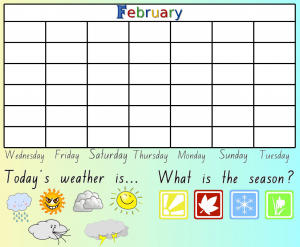 Based on a conversation I had with one of our Stage 1 teachers this week, I made this calendar for SMART Notebook. Each month has its own page. The days are mixed up below the calendar so students can put them in the correct order. 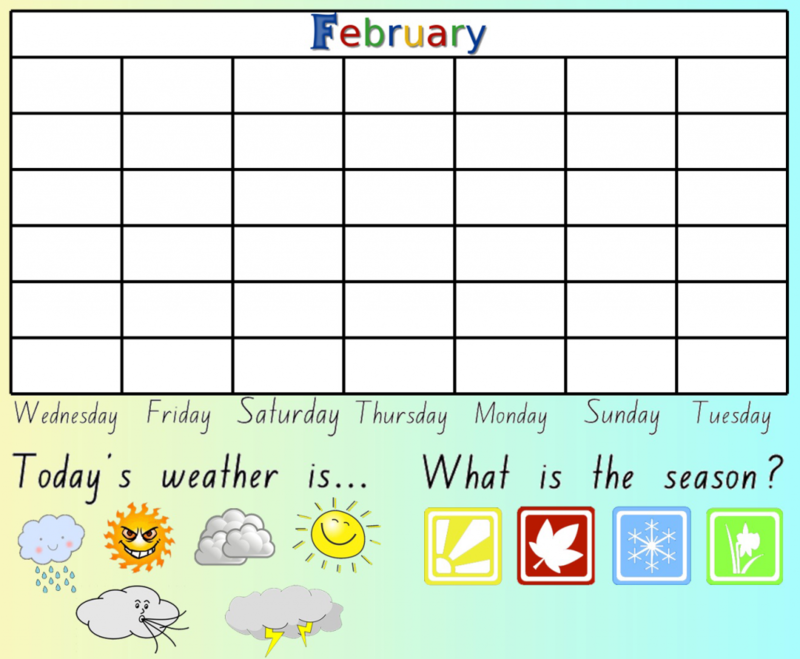 The calendar fields are left blank in case you want to type your entries in, or handwrite them via the SMARTboard’s pen. The weather icons rotate and the season icons spin when touched. This was made to aide with the morning routine for the younger grades. I hope you can get some use out of this. Such a fantastic resource! Thanks for sharing. I am sure our staff will be delighted to have this wonderful resource. Thank you Nathan. This is fantastic!